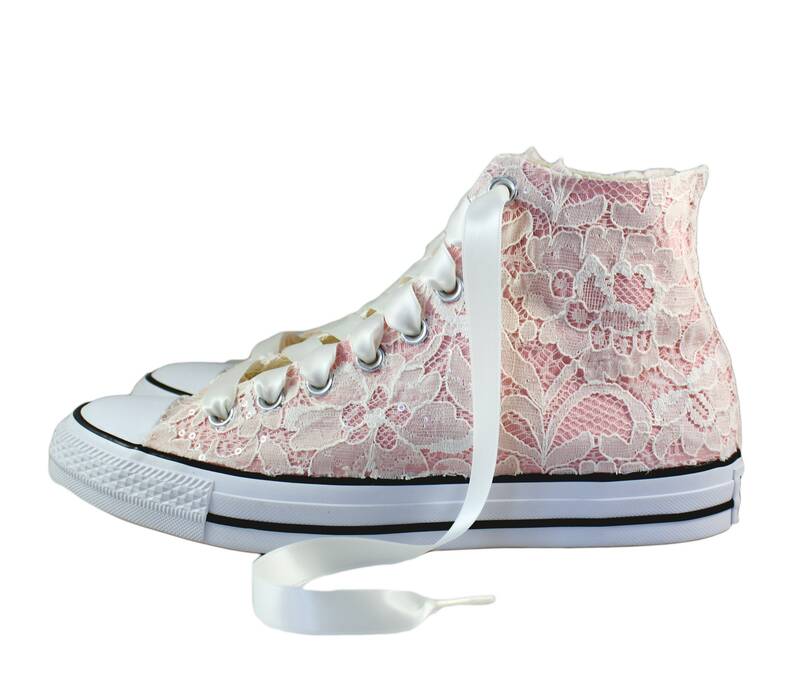 Size 10 Ready to ship! 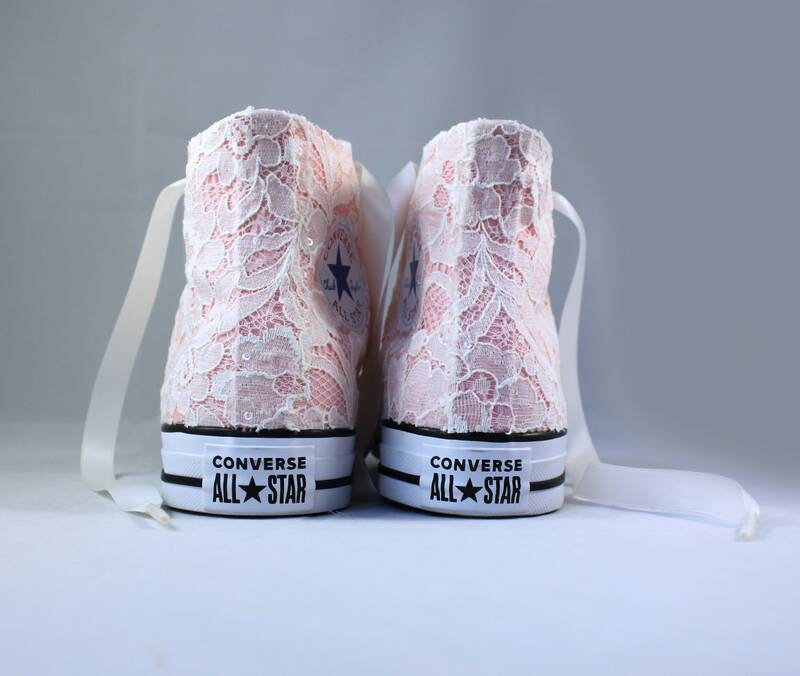 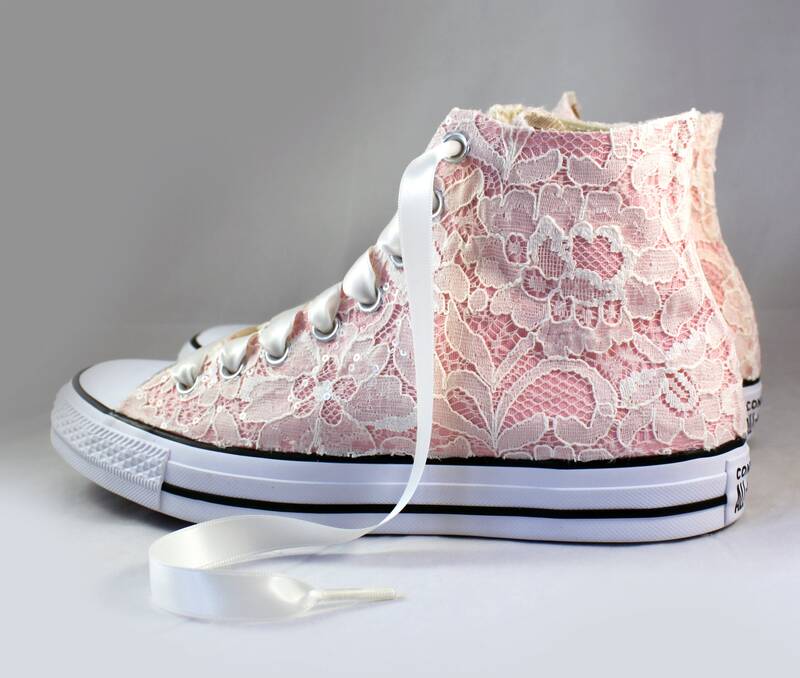 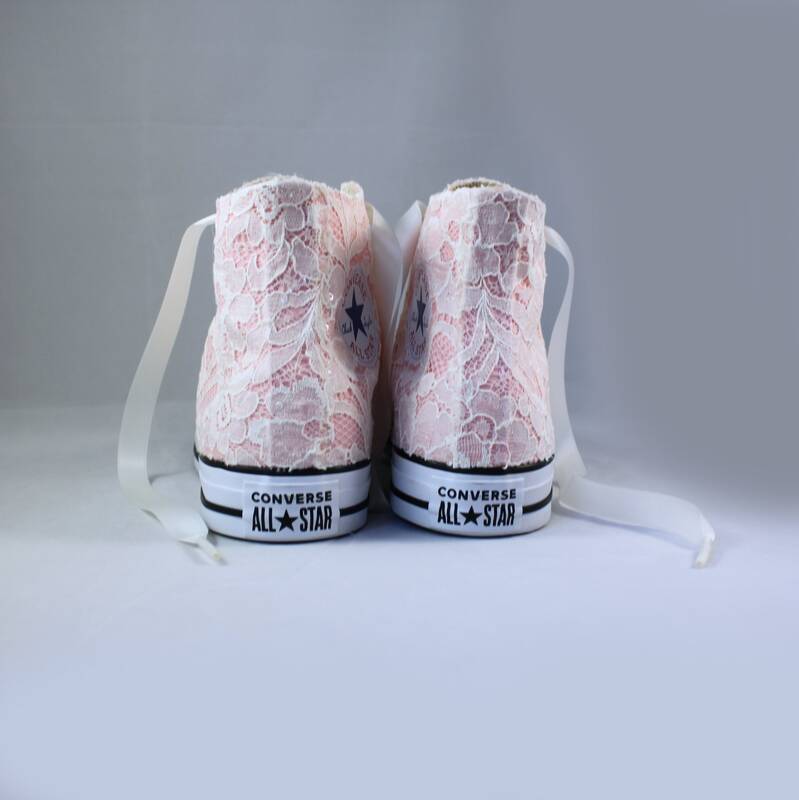 Pictured with Storm Pink High Top Converse, ivory lace and Ivory ribbon shoelaces. 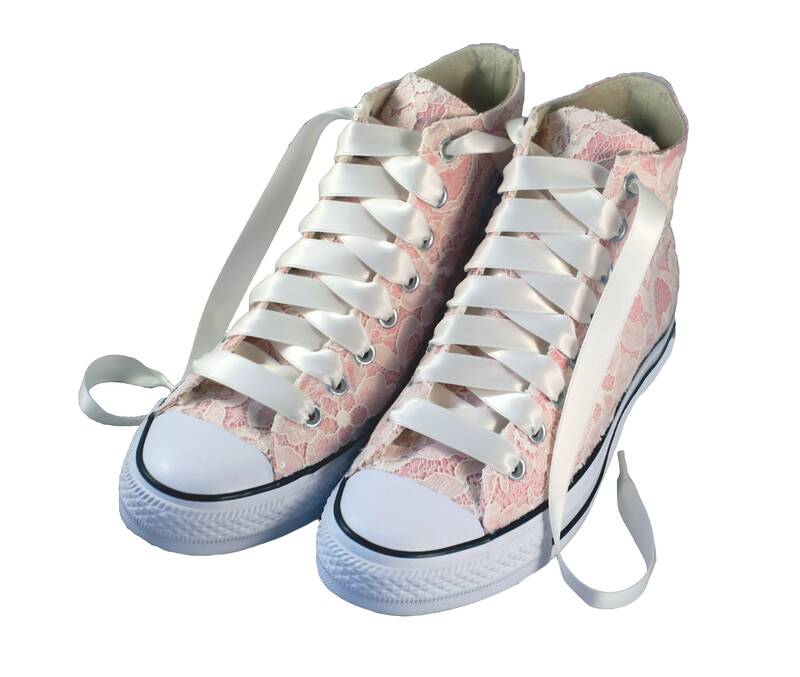 Ready to ship shoes are on a short lead time and ship out within 1-3 days. 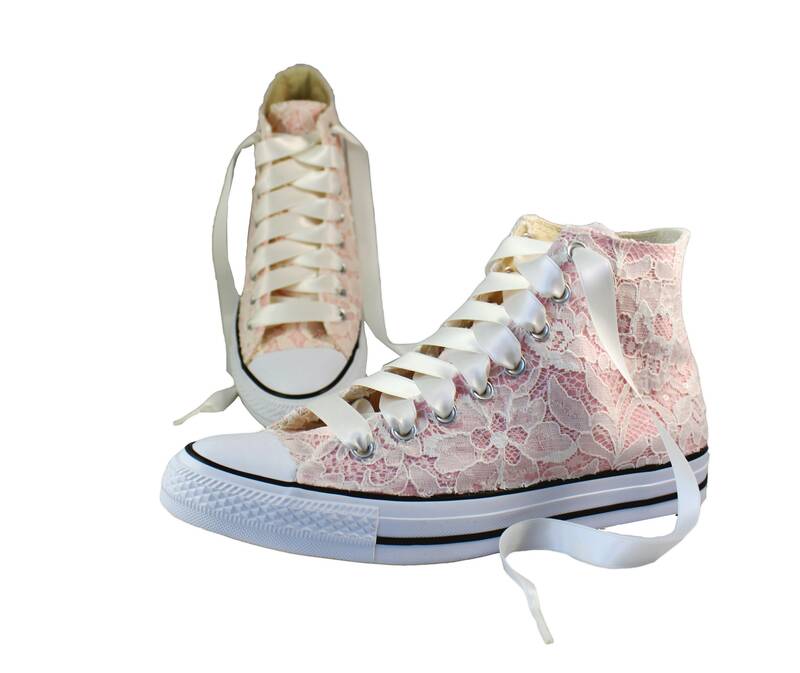 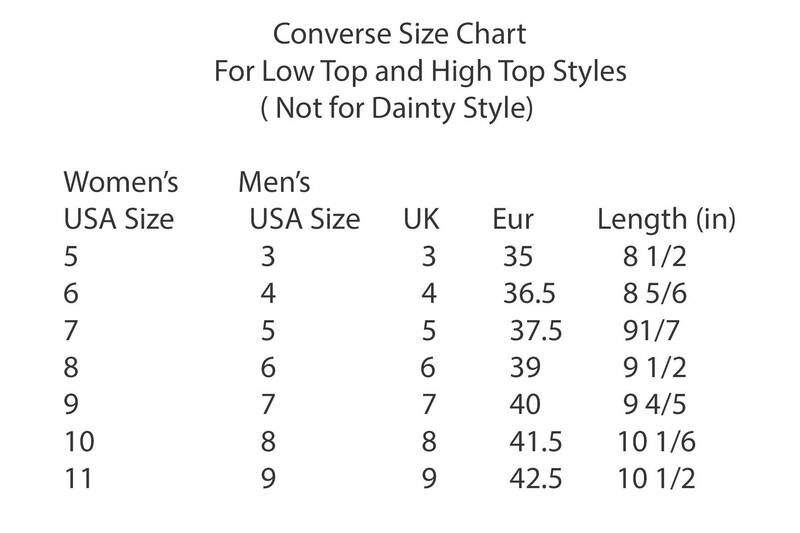 Due to lace pattern and shoe size lace pattern placement on the shoe may vary depending on size.